The interaction of water and climate has a major impact on human life and health. 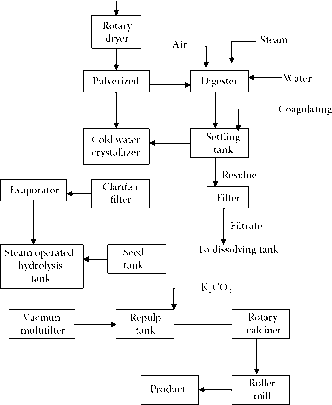 The hydrologic cycle, for example, provides precipitation that fills reservoirs and lakes, thus providing drinking water. Climate patterns influenced by the ocean determine where people live and have major effects on economic activity, quality of life, and every other aspect of human behavior. 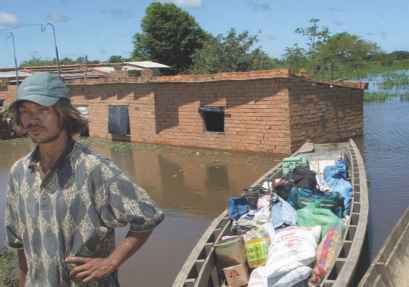 Changes to the El Niño weather system have caused more hurricanes and flooding, such as this flood in Bolivia in 2007. Although El Niño is probably natural, the recent changes may be a result of global warming. Aizar Raldes/AFP/Getty Images. result in more flooding. Thus, human development can have a strong effect on the hydrologic cycle, and those changes in the water cycle can in turn have a large, and sometimes negative, effect on human quality of life. Building cities in some areas can cause floods that damage those cities and the people who live in them. One of the most important and striking climate phenomena in the world is the monsoon. A monsoon is a seasonal prevailing wind that lasts for several months. In India and surrounding countries, a monsoon blowing from the Indian Ocean results in torrential rains between June and September. In India, around 35 inches (89cm) of rain usually fall in that period. A study led by Noah Diffenbaugh at Purdue University's Climate Change Research Center suggests that global warming may push back the start of the monsoon season in India by 5 to 15 days. At first, a delay in the monsoons may seem like a good thing: The downpour causes flooding and even landslides. India relies on the rainfall, however, to provide water for drinking, for agriculture, and for hydroelectric power. If the monsoons are delayed, it could have serious negative consequences for huge numbers of people. A reduction in monsoon winds where they are expected can be bad. But the appearance of monsoon winds where they are not anticipated could also cause problems. University of Oregon Geology Professor Greg Retallack has studied historical changes in climate patterns, and he believes that if world temperatures warm, the Pacific Northwest may begin to experience monsoon storms. In one global warming event 55 million years ago, rainfall increased by 50 percent. If warming again triggered monsoons on that scale, the climate and perhaps the landscape of Seattle and the surrounding region would be significantly changed, resulting in major adjustments for people living there. Changes in monsoon patterns demonstrate again that water and climate can be connected in complicated ways. Thus, global warming may change weather patterns around the globe in ways that are hard to predict but may have major consequences for millions of people. Thus, scientists know there is a link between water temperature and storm systems, but how those links work exactly, and how they may affect people, are difficult to determine. Scientists do know, however, that as the earth's temperature increases, the changes may affect the earth's water in many different, surprising, and possibly dangerous ways. In turn, the changes in the oceans, in precipitation, in the icecaps, and in lakes and rivers may have powerful effects on climate and on human beings.